Over the years, I’ve kept my eyes and ears open for great “thought experiments” for language. 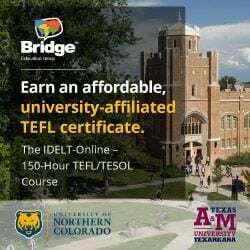 Real examples and events that are so extreme, they really force you to think differently about ones preconceived notions about language learning (and by default teaching it). Here are the top 5 examples off the top of my head that are indeed “out there” and from the Twilight Zone. Please tell / share your own! Read Part 2 of this post. 1. Daniel Tammet learns to speak fluent Icelandic in one week. A famous idiot savant, Daniel took on the challenge and bet of learning Icelandic in one week. He succeeded, going onto national Icelandic television and passing as a fluent speaker. He even went on to found his own language elearning company Optimnem. 2. 1930, the Leahy Brothers visit the highlands of New Guinea. First Contact, an amazing film about the first meeting of the tribes in New Guinea and white men. Fascinating how decades later, the film makers return and everyone laughs about the first contact and shares stories in the now common pidgeon/creole. 3. Wade Davis writes in The Wayfinders about linguistic exogamy. A remarkable book where the explorer and thinker writes about cultural diversity, the “ethnosphere” and language death and its consequences. He reports about a fascinating Amazonian tribe, the Barasana, that has a rule whereby you must marry outside your language group. Some extended families have 7 or 8 languages with everyone speaking them all! 4. North Korean man doesn’t speak or hear German for 47 years but after a few days can speak German fluently again. The true but fascinating case of a N.Korean man who left his German wife and 2 kids in E. Germany in the 1960s. 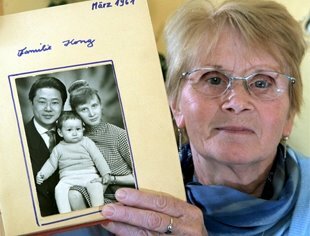 47 years later, she and her kids reunite in N. Korea and he remembers all his German, no problem! 5. The Imposter documentary. How identity is stronger than language. Amazing documentary and must see. About a young adult in Spain who fakes a story to assume the identity of a boy who disappeared years before in Texas. The family accepts that he is their son despite his heavy accent! 6. 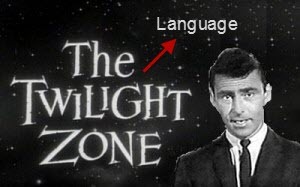 Lastly (but not actually true), the Twilight Zone episode “Word Play“. A man starts his normal day but as the day goes along, all the language changes. Dinosaur becomes “lunch”. Dog becomes “Wednesday”. Asks us to reconsider what is a word and remember it is all arbitrary! Read about more “strange” stories of language learning HERE. 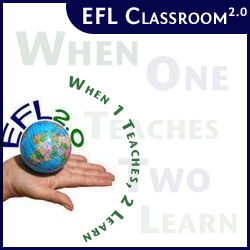 Next story The #1 Second Language band …..
Great idea for a blog post, David! 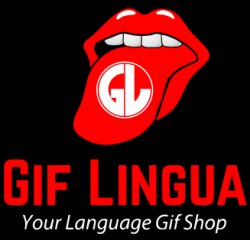 It made me wonder if there are any videos of ‘foreign accent syndrome’ – the occasionally reported cases of people who recover from strokes or other brain damage, speaking their L1 with a foreign accent? Yeah, lots to make you think. The stories of people learning a language through hypnotism or just waking up after a stroke and speaking “x” language are abundant but don’t know how “true”. The best video I know about foreign accent syndrome and showing it, I archived on my own site – http://community.eflclassroom.com/video/foreign-accent-syndrome Spooky!